Wild Hallucinogenic Mushrooms in America? This hip-picket Field Guide presents 24 hallucinogenic mushrooms that grow within U.S. borders and the eight poisonous species that they are most easily confused with. 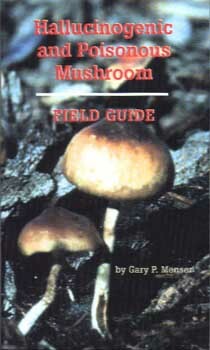 A reliable reference for the beginner, the Field Guide opens up the world of mycology in a clear an dprecise way. The Hallucinogenic and Poisonous Mushroom Field Guide is a compact course in mycology as well as a handy tool for the professional. Over 30 color plates and 50 line drawings.